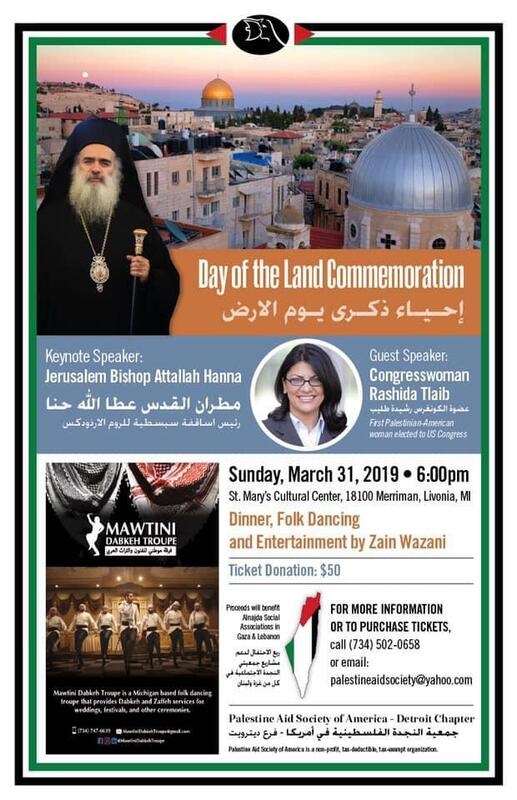 LIVONIA — The Palestine Aid Society of America will be hosting Jerusalem’s Bishop Atallah Hanna on Sunday, March 31 at St. Mary’s Cultural Center in Livonia. Hanna will serve as a keynote speaker during the Day of the Land Commemoration. Born in the Galilean village of Al Rameh, Theodosius (Atallah) Hanna attended Thessalonica University in Greece in the Faculty of Theology. After graduating with honors, he went on to complete a master’s degree and doctorate. In 1991 he was ordained as a deacon and priest in the Church of the Holy Sepulchre in Jerusalem. 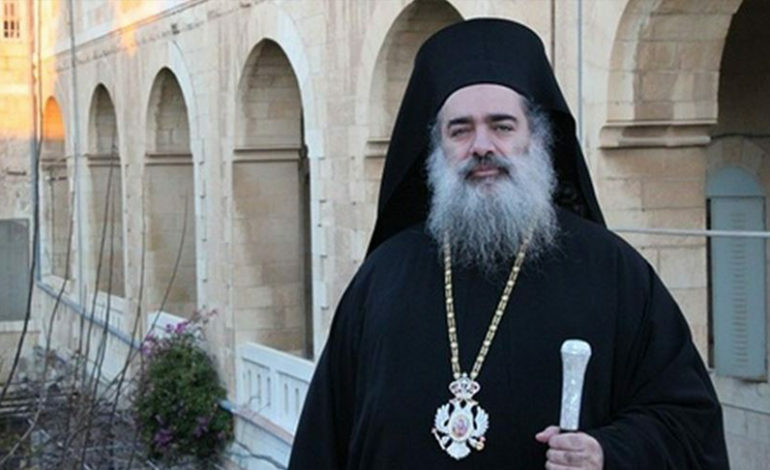 After being appointment as head of the Arabic Department for the Orthodox Patriarchate in Jerusalem, he acted as a spokesman for the Orthodox Church in Jerusalem. The St. Mary’s event will also have U.S. Rep. Rashida Tlaib (D-Detroit) as a guest speaker. Hanna is a member of the Composition Committee; he raised the topic of Christian religious education in Arab schools in Israel and participated in the establishment and development of curricula for Palestinian schools. He is also an active member of the Christian Islamic Discussion Forum in Palestine and has also held membership in similar other organizations. Hanna is also an author and his articles have been periodically published in various newspapers as well as in local and international magazines. He received a number of honors and awards from Arab and Islamic countries. “Palestinian Aid Society is proud to commemorate the ‘Day of the Land’ with all the Palestinians in the world, especially the ones on the border of Gaza, who will be celebrating their first year of their marches,” said Palestine Aid Society representative Mohammed Abdul Salam. Proceeds from the event will benefit Alnajda Social Associations in Gaza and Lebanon.